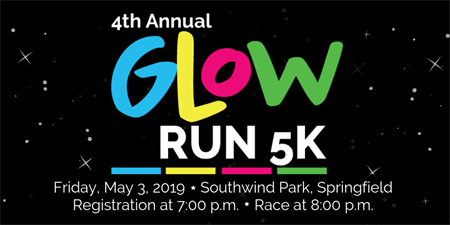 Friday, May 3rd, 2019 - Check-in starts at 7p.m., race starts at 8 p.m.
Sign up today for the 4th Annual Glow Run hosted by the Ronald McDonald House Charities® of Central Illinois Teen Council! This event raises funds for the children and families served by Ronald McDonald House Charities of Central Illinois, and all proceeds stay local! *Please note this is a fun run/walk, not a competitive one! Date and Time: Friday, May 3rd, 2019 . Check-in starts at 7p.m., race starts at 8 p.m.
What to wear: Be sure to wear white and neon colors to glow under the blacklights! Please note that shirts can not be guaranteed for registrations after April 22nd.